We love creating sticky walls and using contact paper for crafting. 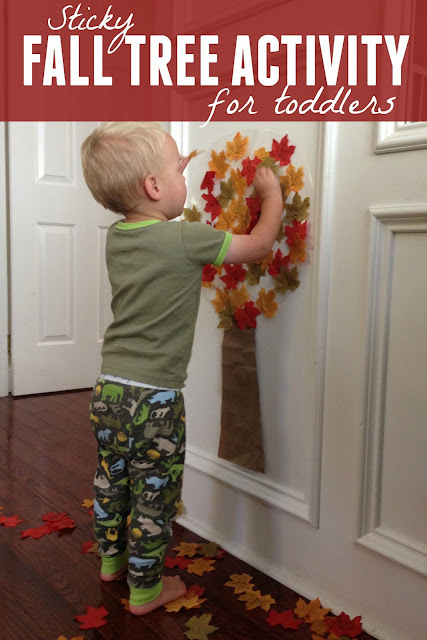 Today we are sharing a super easy Fall tree activity for toddlers that we created. It is much simpler than some of the sticky walls we've created before and just allows toddlers to explore the fun of sticky paper and leaves and colors. Follow @kristinatoddlerapproved for more simple fun Fall ideas! To create the Fall tree you first need to make a tree trunk out of brown paper and adhere it to the wall. Next you need to cut out a large oval from the clear contact paper and attach it to the wall (sticky side out) so that it fits above the trunk like a treetop. 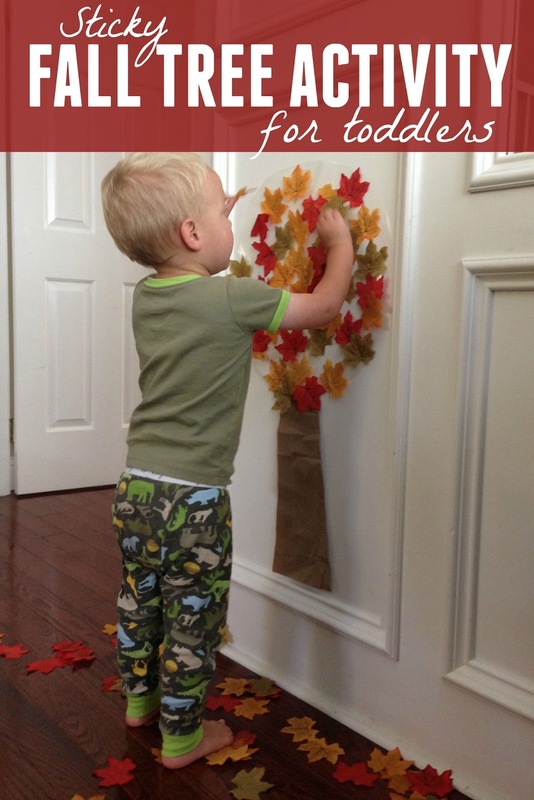 Lastly, lay out your fabric Fall leaves on the floor and encourage your child to add and remove Fall leaves from the Fall tree. We took breaks in between sticking the leaves on the tree to just throw the leaves and make them fall all over his face. He loved the sensation of the leaves touching his face as they fell! As we put the leaves on and took them off we talked about the colors of the leaves and we counted them and even sorted them as we worked. 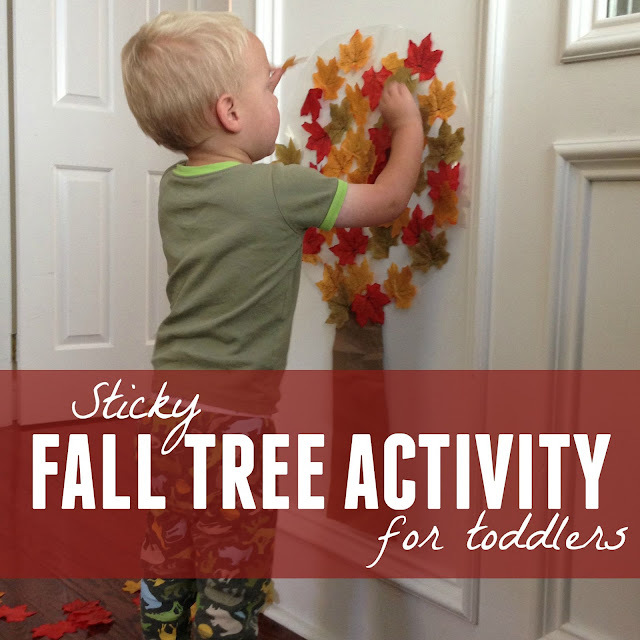 Sticky activities are very simple but are always popular at our house because you can repeat them again and again! Need any more Fall activities? You can find our favorites below. Looks like fun! Going to give it a try. How did you attach the tree and contact paper to the wall? Where did you get the leaves? Tried this. Didn't work. The leaves didn't stick to the contact paper well at all. It was plenty sticky but they would only stay on for .000001 seconds before falling off. Bummer! How disappointing. What kind of leaves did you use? It has always worked for us.